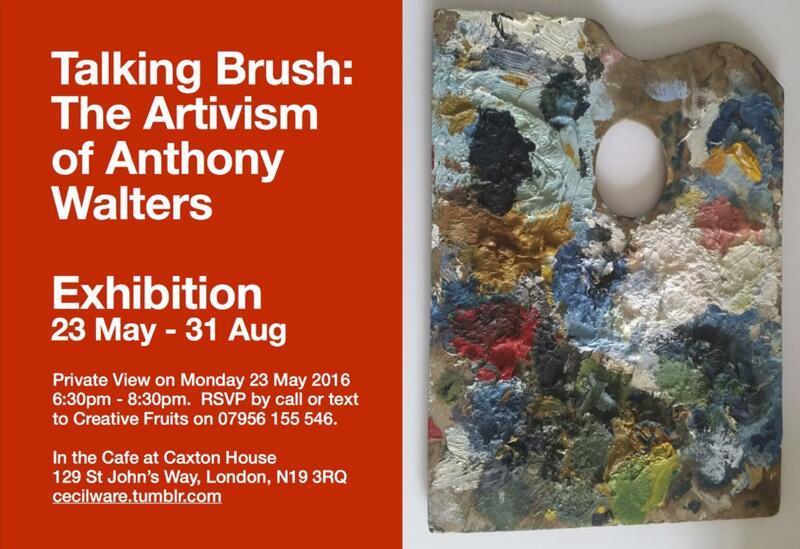 Talking Brush, is the first solo exhibition of Anthony Walters, a local fine artist and ceramicist. The display is a collection of selected works by the artist, that spans more than four decades that represents his personal and historical life from student, artist and activist. The artist will join us for a Q&A (19:00pm) followed by a tour of the collection (19:30pm). Light refreshments will be served in the Cafe, Caxton House Community Centre, 129 St John’s Way, London N19 3RQ.